If you do anything for 25 years with focus and attention to detail, you can become a master at it. Painting, juggling, shredding on the guitar, you name it: practice and put your heart into it every day, and you can be the best there is. When it comes to an SUV that’s the best there is, there is only the 2018 Jeep Grand Cherokee. 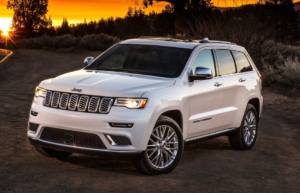 For 25 years now, the engineers and designers behind the Jeep Grand Cherokee have been putting their hearts, time and considerable brainpower into making the Jeep Grand Cherokee the most beautiful, most capable, most comfortable SUV there is, on road or off. All that practice culminates in the incredible 2018 Jeep Grand Cherokee, the best Jeep Grand Cherokee to ever wear the storied nameplate. If you’re looking for 2018 Jeep Grand Cherokee for sale in Fayetteville, you’ve managed to find the right place: McLarty Daniel Chrysler Dodge Jeep Ram Fiat in Springdale. With dozens of 2018 Jeep Grand Cherokee models on the lot and ready to roll, we can put you in the 2018 Grand Cherokee that’s right for your needs and your budget, at a payment that’s probably lower than you might have expected. Stop in today for a test drive, shop our big selection of 2018 Jeep Grand Cherokee models online, and read on for more details on what makes the 2018 Jeep Grand Cherokee the best Grand Cherokee ever. As one of the nameplates that helped create the modern SUV segment, the last 25 years have been a period of constant refinement of the Jeep Grand Cherokee silhouette, culminating in the refined, aggressive design of the 2018 Jeep Grand Cherokee. It starts up front, as all Jeep vehicles do, with the classic seven-slot grille, a nod to the classic Willys Jeeps that started it all over 75 years ago. On the 2018 Jeep Grand Cherokee, that grille is set apart with thin, elegant trim around each of the seven rounded openings, the grille flanked by winglight headlights with available LED lighting and an outline of LED when the running lamps are on. . Down below, a wide lower air scoop fascia and angular fog lamp pockets are surrounded by more tasteful chrome, off-setting the functional, frame-mounted front towhooks on 4×4 models. The profile is classic Jeep Grand Cherokee as well: a long, wolfish nose; a wide bodyline with a spear of brightwork along the rocker panels; trapezoidal wheel openings filled with your choice of attractive alloy rims from 17 to 20 inches; the classic hot rod rake, giving the 2018 Jeep Grand Cherokee a look that says it ready for anything. In the rear, large, standard LED tail lights round the corner and extend onto the liftgate with a steeply canted rear glass, while ultra-bright led backup lamps give you extra confidence when reversing in dark spaces. Without the ability to take anything nature throws at it in stride, a vehicle doesn’t deserve to wear the four letters that spell off-road capability the world over: J-E-E-P. The designers and engineers of the 2018 Jeep Grand Cherokee knew this, and the result is a Jeep Grand Cherokee that is always ready for where life takes you, whether that’s a refined night on the town, the deepest and darkest backwoods, or duking it out at the dragstrip. For decades, Jeep’s off-road prowess has has been legendary, and a properly configured 2018 Jeep Grand Cherokee can meet and exceed that high bar. For the ultimate in off-road reliability, there’s the 2018 Jeep Grand Cherokee Trailhawk, which features a full 10.8 inches of ground clearance, the abllity to approach and climb obstacles up to 36 degrees from horizontal, advanced door and electrical sealing to allow for water crossings up to 20 inches deep without damage, and a crawl ratio of 44.2 to 1. Thanks to the Selec-Terrain traction management system, adjusting for different conditions like snow, sand, mud and rock crawling is as easy as turning a knob on the console, with the system remapping transmission and engine performance to maximize grip. If you’re more in the mood for quarter-mile heroics, step up to the incredible 2018 Jeep Grand Cherokee SRT8 and Trackhawk models. With a supercharged, 707-horsepower version of the legendary 6.2-liter Hemi V8, the 2018 Jeep Grand Cherokee Trackhawk is the fastest SUV in history, with a rocket-sled 0-to-60 time of 3.5 seconds, a blistering 11.6 second quarter mile, and a top speed of 180 mph. In addition to legendary off-road capability, the Jeep Grand Cherokee made its bones by being one of the most comfortable SUVs ever, and that’s a tradition that continues with the 2018 Jeep Grand Cherokee. Depending on how you configure your Jeep, it can be either hose-out-the-mud utlitarian or almost unbelievably luxurious. It starts up front, with a tapered, winglike dash, with a refined, two-tone color scheme and stainless steel brightwork on the steering wheel, glove box, and console. The centerpiece is the available 8.4-inch Uconnect touchscreen, which features smartphone connectivity via Apple CarPlay and Android Auto, hands-free calling, navigation, audio system control, a higher resolution than previous models, and pinch-and-zoom capability. As a celebration of Grand Cherokee’s 25th anniversary, this year only the 2018 Jeep Grand Cherokee is available in the Grand Cherokee Sterling Editon, which features platinum chrome badings, special 20-inch rims, and a new “Real Metal” leather trimmed instrument panel and center console, with contrast stitching throughout. Depending on trim level, leather trim is available at almost every interior touchpoint, including on the wheel, seats, instrument panel, door panels, center console and glovebox, and the refined Grand Cherokee Summit features even more refined accents, like polished inlays made of real, open pore woods surrounded by stainless trim. Filling that space are your choice of two premium audio systems: the standard 9-speaker Alpine surround sound system, or the awesome power of the concert-quality Harman Kardon audio system, featuring multichannel equalization and 19 high-quality speakers scattered throughout the cabin. Better, bolder, badder and more comfortable than any Jeep Grand Cherokee before, the 2018 Jeep Grand Cherokee is one of the best vehicles Jeep has ever produced, and the best Grand Cherokee to ever wear the nameplate. Whether you’re looking for no-limits off-road capability, a refined and well-appointed city and highway cruiser, or a quarter-mile beast that can take on and beat even the hottest classic and modern muscle cars, there’s definitely a 2018 Jeep Grand Cherokee that’s right for you. If you’re looking to buy a 2018 Jeep Grand Cherokee in Fayetteville, stop in today for a test drive at McLarty Daniel CDJRF of Springdale. We’re sure to have a Grand Cherokee that’s right for your needs and your budget. Come see us today, or shop our big selection of 2018 Jeep Grand Cherokee models online, and see why we think this is the best Jeep Grand Cherokee in history. 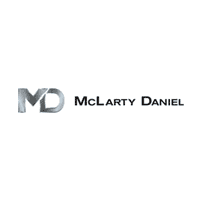 Click here to contact McLarty Daniel CDJRF, or click here to visit our Finance Center.